If you’re new to wreath making, it can get overwhelming to know what wreath making tools of the trade you need and don’t need. Here are my top 15 most important tools to buy when you’re first starting to make wreaths. These tools will make wreath making much more enjoyable. This post contains some affiliate links for your convenience. Click here to read my full disclosure policy. 1. 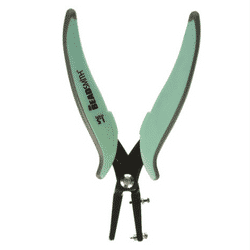 Wire Cutters – Great wire cutters are a necessity for your wreath making tools. They are used to cut wire but they also help to cut thick silk flower stems. I suggest using wire cutters made for electrical work and not using the typical wire cutters used for general work. 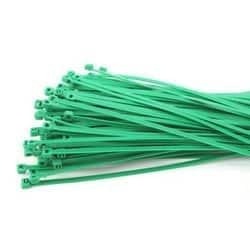 Electrical wire cutters tend to work better on heavy wired silk flower stems and provide a great angle giving you the exact cut you need. You may have noticed my wire cutters used in all of my DIY videos. 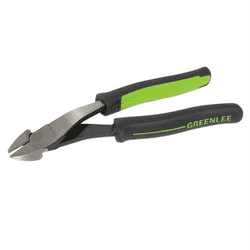 Greenlee is my favorite brand and I’ve had these for almost ten years now. 2. Rotary Cutter – A rotary cutter is a tool created for cutting fabric but it can be a tremendous time saver when cutting deco mesh for your wreaths. 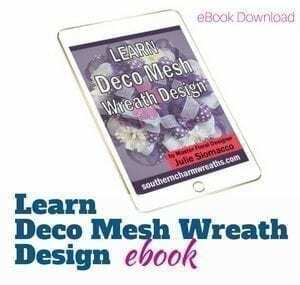 Instead of scissors, use a sharp rotary cutter which not only saves time but also helps to cut down on the fraying that happens when you cut deco mesh. 3. 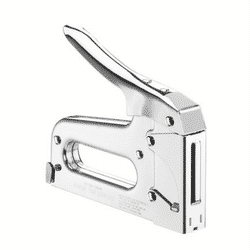 1.5mm Metal Hole Punch – Another wreath making tool I can’t live without is a metal hole punch. 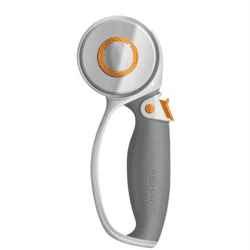 This tool was designed to help jewelry makers but I love to use it when making wreaths too. It’s job? To make quick holes in metal signs so that I can attach wire to the signs. Brilliant I tell you…brilliant! Before I learned about this tool, I was using the hub’s drill which was a pain. I had to find the right drill bit and then remember how to change them out. This tool is a total game changer! 4. 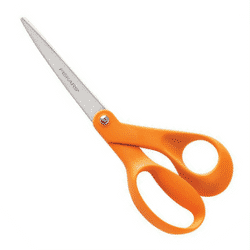 Scissors – Scissors are used to cut ribbon and mesh. Never use scissors to cut your silk flowers. 5. 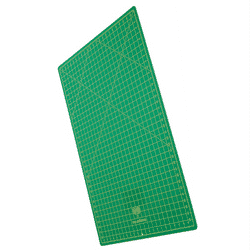 Gridded Utility Mat – This mat is great for protecting my table when making my wreaths. I also use the ruler for everything from measuring ribbon and mesh to measuring a box I want to ship. I’ve also marked my most frequently used measurements right on the mat with a sharpie for a quick reference. For example, 10” for cutting mesh, 13” for cutting ribbon, etc. 6. 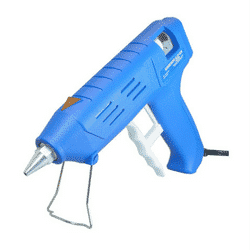 High Temperature Professional Glue Gun – Of course you can’t go without a glue gun in your wreath making tools. A glue gun is used to attach flowers to wreaths. Make sure to get a high temperature glue gun and use it liberally so your flowers won’t fall out. There’s really no need for an expensive glue gun when you’re starting out but you do NEED a larger more professional gun, not the small crafters glue guns. I sometimes have 3 of these going at the same time during the busy season since they do take time to heat the glue stick. 7. 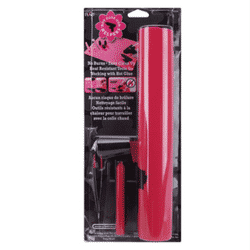 Glue Gun Mat – When using a glue gun, it can get very hot. Not only that but it can tip over or drip glue from the end. So in order to protect your table, I suggest using a silicon glue gun mat. This is different than a utility mat noted above. Take it from me, hot glue does not remove from a utility mat and the heat will warp it so use a glue gun mat too. Plus, the little accessories that come in the kit help to prevent glue gun burns. 8. 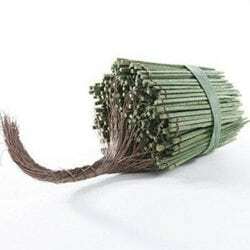 Florist Wire – Florist wire is used for wiring signs and elements into your wreaths. I recommend 22-gauge wire. 9. 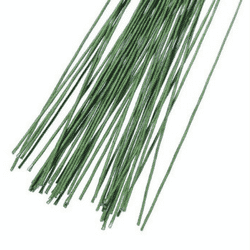 Greening Pins – Greening pins are great for attaching items like ribbon or mesh to Styrofoam or straw wreath bases. Also when I have styrofoam ornaments, I can attach a wire to the foam using a greening pin. Here’s a tip, once the greening pin is attached, you can put hot glue on top of it for added security. 10. Wood Floral Picks – When floral stems are too thin they won’t stay in a grapevine wreath no matter how much glue you add. Therefore, a floral pick will need to be added. Floral picks are also good for those stems that shrivel up when you add hot glue to the stem or if you need to lengthen a stem that you’ve cut too short. You can watch a video here of me using wooden floral picks. 11. 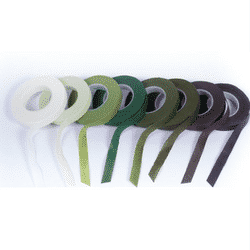 Floral Tape – Floral tape is used for added security when using wooden floral picks and it comes in several colors. I use green for evergreen wreaths, brown for grapevine wreaths and white for flocked wreath bases. Floral tape gets sticky once you stretch the tape and therefore sticks to itself. 12. 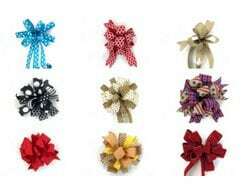 Bow Maker – Making bows is one of the hardest things to master for new wreath makers. Even though, I’ve never used a bow making machine, lots of newbies swear by this bow maker. No matter if you decide to use a bow maker or learn without one, either way it will take lots of practice to master a pretty bow. 13. Heavy Duty Stapler – When attaching wooden signs to your wreaths, use a heavy duty staple gun to attach a pipe cleaner or florist wire to the back of the sign. Make sure to put hot glue on top of the staple for added security. For really thin signs where the staple might go through to the front, you can build it up on the back with ribbon or use a zip tie mounts. 14. 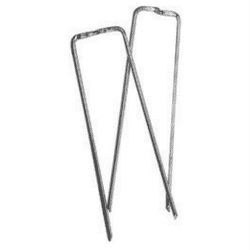 Zip Ties – I use zip ties for lots of things including attaching floral sprays to wreaths, signs, floral sprays for lantern swags, and for securing heavier items to wreaths. 15. 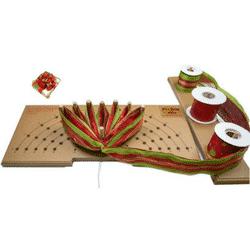 Steel Pick Machine – While a steel pick machine is not necessarily one of the top wreath making tools for beginners, it does speed up the wreath making process. It quickly attaches a steel floral pick to flower stems. You can choose to use this instead of wooden floral picks. It’s a pricey investment but it does save lots of time and comes in very handy if you decide to do more floral arranging. 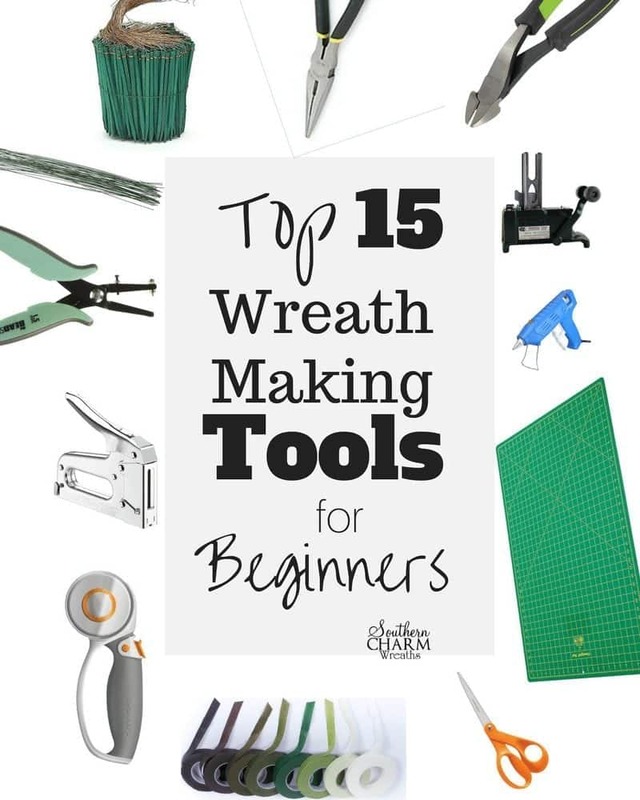 I hope these tools will help you on your wreath making journey. Hey, what’s your favorite wreath making tool? Excellent article. I wished I had had this list when I first started my wreath making business. I had no idea what I needed or why ! Thanks for these wreath maker tools. I love your suggestions and your wreaths are such on source of inspiration. 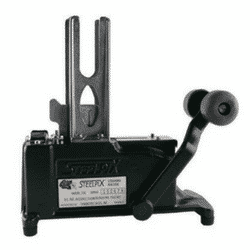 Can you use the 1.5 metal hole punch for thin wood signs too? That metal hole punch is awesome. I didn’t know why I would ever need it but I use it all the time. I pounce holes in cardboard, thin metal signs, witch hats, and whatever else I need a hole in. Thank you for the tip. Thank you so much for the tool list.. Needed a few of these items desperately 🙂 Hoping to join your club soon.. Your tutorials have been a blessing to me..
Love all this. I have almost all of it. Hoping I can eventually pay once a month to get in your Wreathing club so I can learn more. Practicing with my probow the hand. Harder than it looks. But watching the videos till I get it. Once I get something I love it. Not fun when in the curves😬. Glad afterwards. Love all you do. Want to learn as much as I can. I have seen videos and notice when you glue flowers you have a rectangle pot with glue in it. What is that tool? Where can I buy it? I purchased an electric skillet from walmart and put glue in it. Love your work! I am starting to sell my wreaths and have heard heard comments about items coming off in cold or hot temps. Horrified! Any special kind of hot glue and/or electric pot? High temperature Gorilla Glue sticks is what I use. Thank you. I love your tutorials. You a great teacher and your work is exquisite! 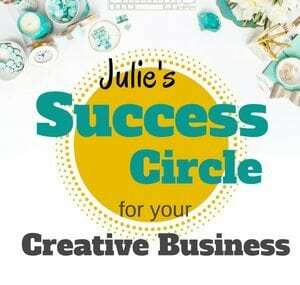 Hi Julie, I discovered your website and tutorials recently and have found your tutorials intriguing, so much so I’m considering giving it a try. I love all the beautiful pieces. I especially appreciate your list of supplies for beginners. I found this so useful. I, also, noticed in your tutorials that you use a tripod with what appears to be an adjustable peg. Where can I purchase a tripod like this? I look forward to seeing more of you tutorials. I’ve looked almost everywhere thank you..
Want to know if there is a good spray sealant for outdoor wreaths and bows….uv and waterproof? I don’t spray mine but test your product before spraying on a whole finished wreath. 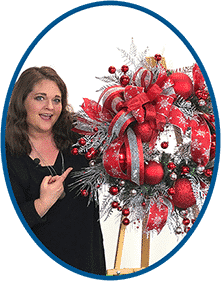 Thinking of selling wreaths and wondering what type of adhesive to use…in your experience are customers bothered if the back of the wreath is unsightly? For instance if there are zip ties, floral wire and whatnot all over the back. Hot glue seems the most aesthetically pleasing, it I just hope it holds up..
Definitely hot glue and the back should not be unsightly if you’re selling to customers.